To import products into the Products Catalog in CrazyLister, all you need is to populate a CSV file with the product information. 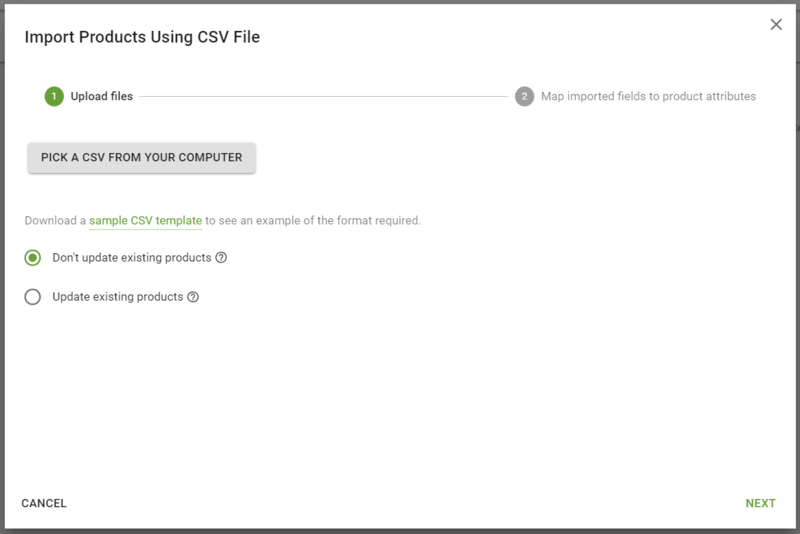 3) In the pop-up that appears, click "PICK A CSV FROM YOUR COMPUTER" to select the file for upload. Once you have selected the file, click "NEXT". 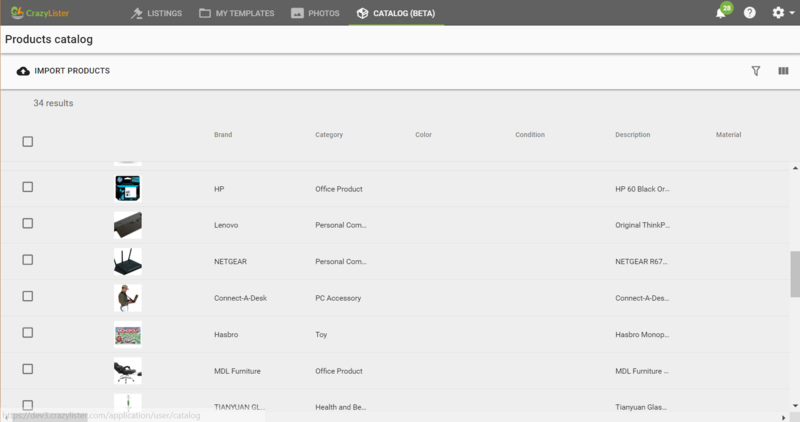 4) You will now need to match the information from your file with product attributes. You will see the column titles from your file appear on the left-side, while the product attributes appear on the right-side in drop-down menus. The system will automatically map the fields from the file to the product attributes if there are matches. Otherwise, it will be blank and you can simply click it and select a product field from the drop-down menu. 6) Your products will now begin uploading and populating the table on the page. Please note that it may take some time for all of your products to load, depending on the amount of products you had in the file. Also note that there will also be a horizontal scroll bar on this page in order to see all the columns. To scroll horizontally using the mouse or touch-pad, hold SHIFT and scroll.